More than 150 black-and-white photos of Reston residents will be exhibited around the area as part of a larger discussion about diversity. 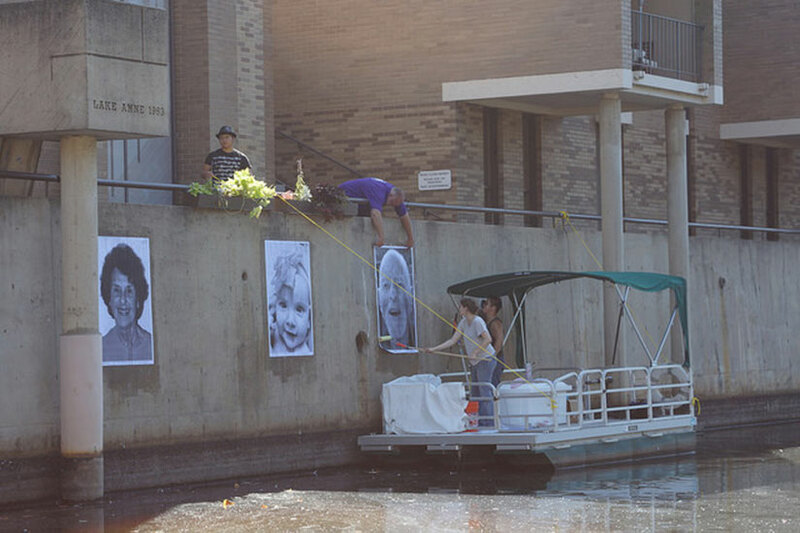 The photos are part of “We Make Reston,” an INSIDE OUT project, brought to Reston by the Initiative for Public Art Reston (IPAR) and Reston Community Center. The photos will be officially unveiled during the Reston Multicultural Festival, with an accompanying discussion about diversity on Sunday. Photos are exhibited around Reston at the Lake Anne sea wall, Comstock Partners’ fencing wall at the Wiehle-Reston Metro Station and South Lakes High School. There is also an exhibit inside the Jo Anne Rose Gallery. “It [“We Make Reston” wall] is diverse, playful, and exudes adventure and love – all crucial parts of the essence of Reston,” said Leila Gordon, the executive director of the Reston Community Center. The Initiative for Public Art Reston and the Reston Community Center received more than 300 photos of Reston residents. Of the 300, 169 were selected to be displayed on the three walls. “A book of all the submissions that met criteria will be made available to the public at the festival and online,” Gordon said. To be considered, all photos had to be a black and white, vertical portrait. Comstock Partners, who joined in with IPAR and RCC to provide the Metro station and banner locations, also had a team of photographers take portrait shots of Reston residents.